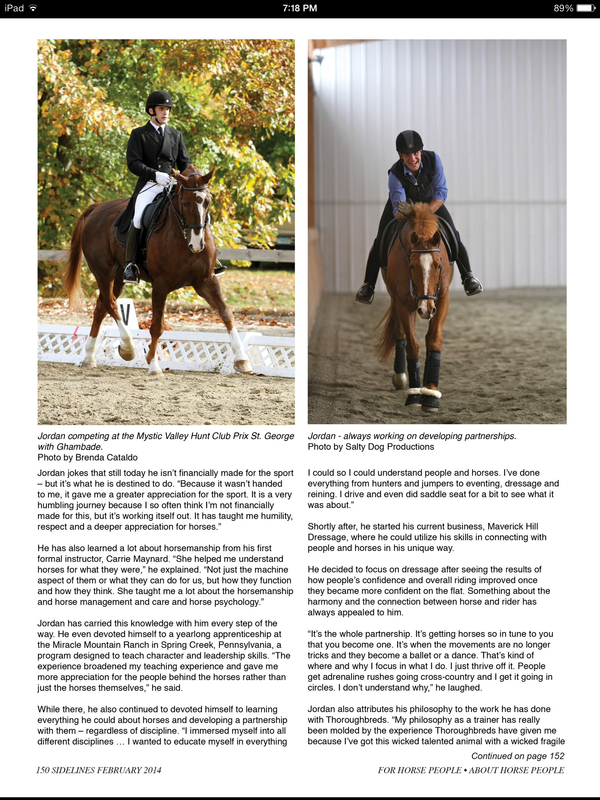 Publications / Media - Maverick Hill Dressage LLC. 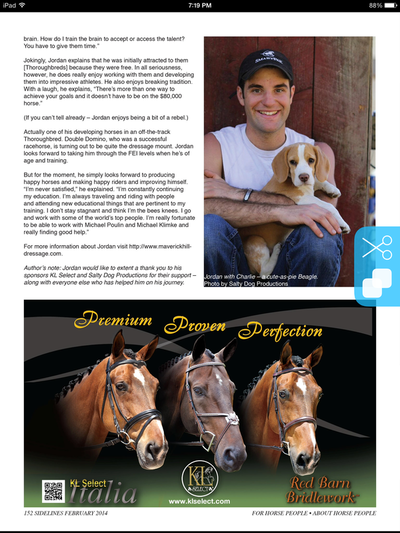 Salty Dog Productions: Maverick Hill Dressage promotional video. Salty Dog Productions: Bromont CDE, Marathon. Salty Dog Productions: GMHA CDE, 2017 Marathon. 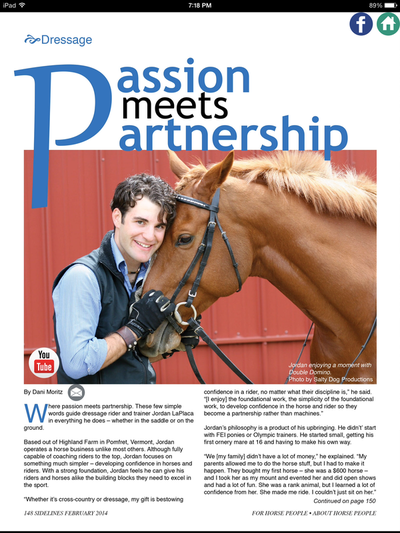 Jordan LaPlaca and Maverick Hill Dressage was featured in Sidelines magazine dressage issue in February of 2014. Salty Dog Productions: Dressage training online promotional video. Salty Dog Productions: Original Promotional MHD promotional video. This is the first Maverick Hill Dressage Promotional Video! Thank you so much to Skye Reno! 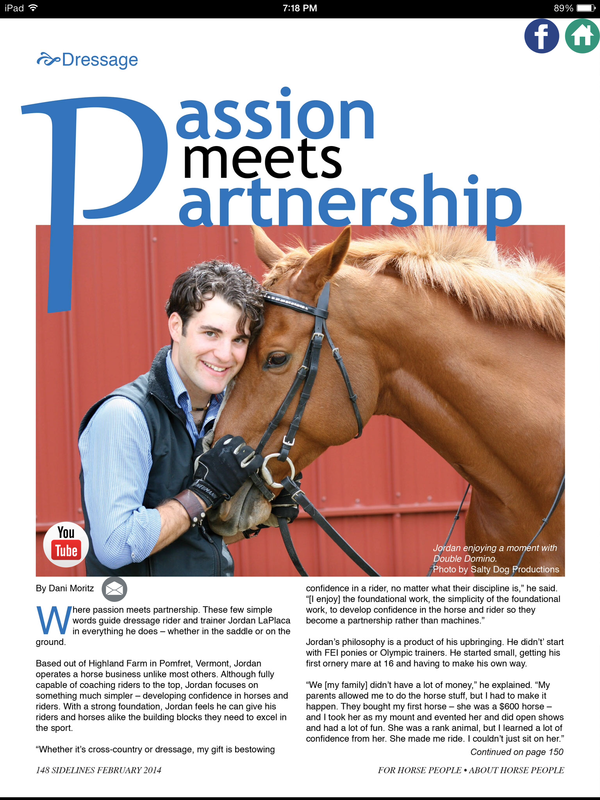 Your support, love, and vision keep us going! A glimpse of what was to come!